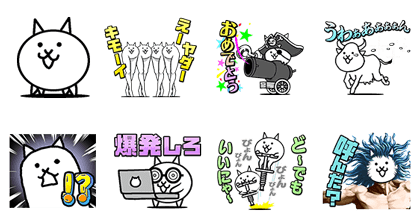 http://www.line-stickers.com/ – The Battle Cats Line Sticker | Here comes the disgustingly cute Cats from popular “The Battle Cats”, in the form of LINE stickers! 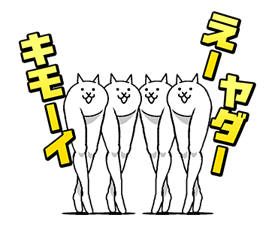 Have these weird things invade your chats! Find your favourite Cat and surprise your friends with its wackiness! Available till November 7, 2014. Copyright : © PONOS Corp.